All reservations for the weekend must be for TWO NIGHTS, and made with a Visa, MasterCard or Discover card. Meadowbrook Park will not accept reservations for a weekend (Friday night & Saturday night) for a single night. On the three major holiday weekends (Memorial Day, Fourth of July & Labor Day) reservations must be made for 3 nights. Sites may be paid via cash, check, Visa, MasterCard, Discover card or debit card. 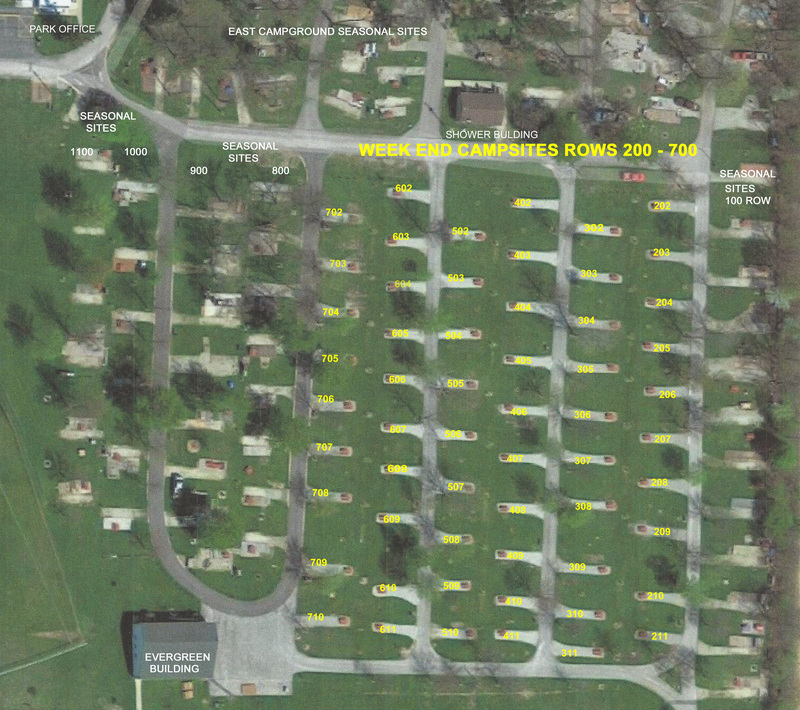 Meadowbrook Park will NOT accept any reservation for campsites for the time periods before Memorial Day and Labor Day. During these time periods, (April 15th to Memorial Day & Labor Day to Oct. 31st), all sites designated weekend sites will be available on a first come, first serve basis. All sites in which vehicles are parked in an attempt to hold a site will be charged a full night’s rental. This includes seasonal campers who park on a site designated as a weekend site. Cancellation of reservations must be made prior to close of business on the Friday, TWO WEEKENDS (14DAYS) PRIOR TO THE DATE OF THE RESERVATION. If the site is not cancelled on time and the site remains empty, Meadowbrook will charge credit card for the amount due.